Cute, but where do you get a moose cutout? IKEA! Thanks, IKEA, for being there for me. 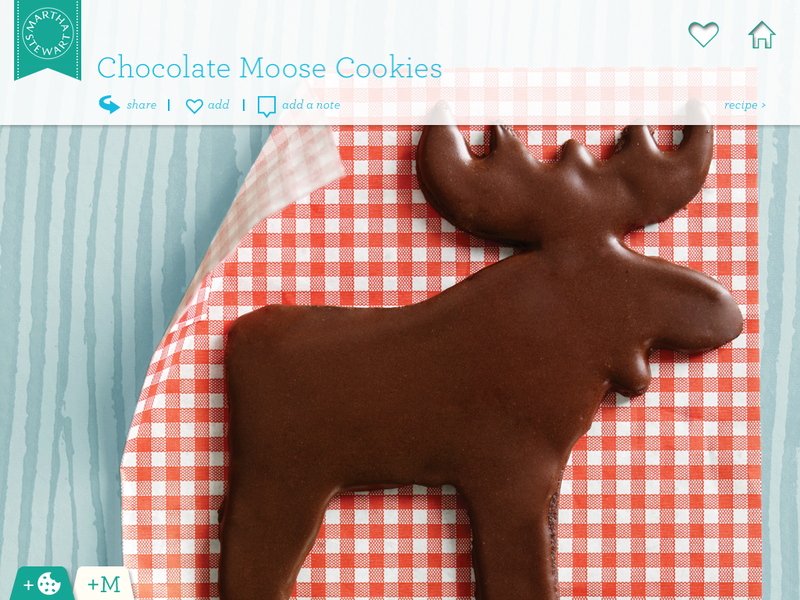 These were in the “Kids Cookies” section of the app, so they should be easy, right? 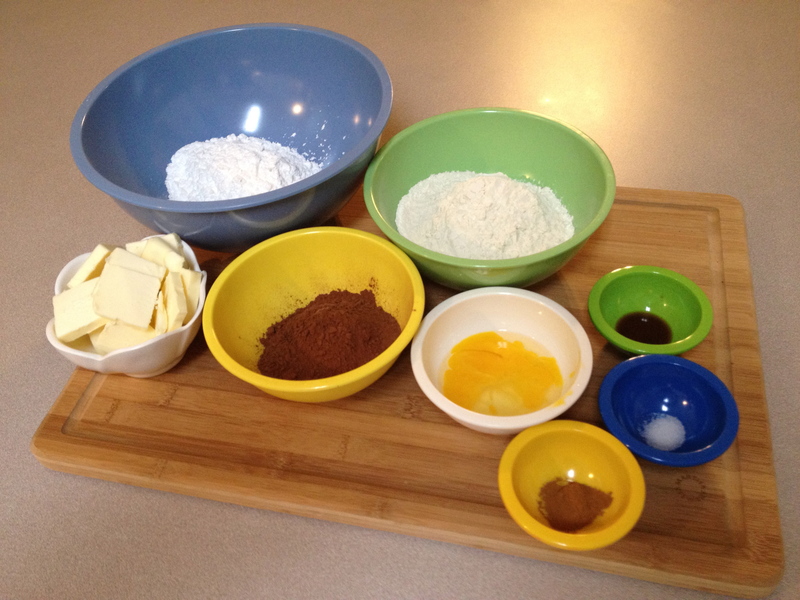 Step 1: Make Cookies. 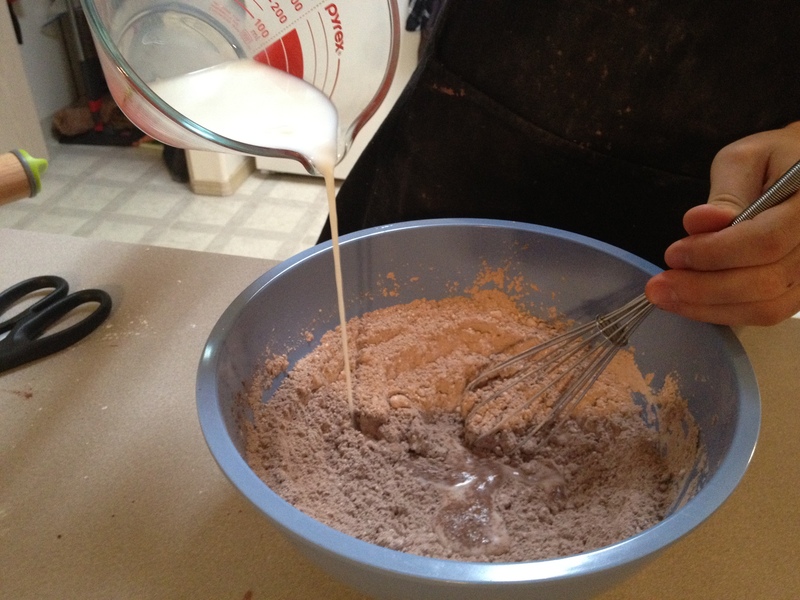 Gather ingredients: flour, powdered sugar, vanilla, salt, cinnamon, egg, cocoa powder, butter. 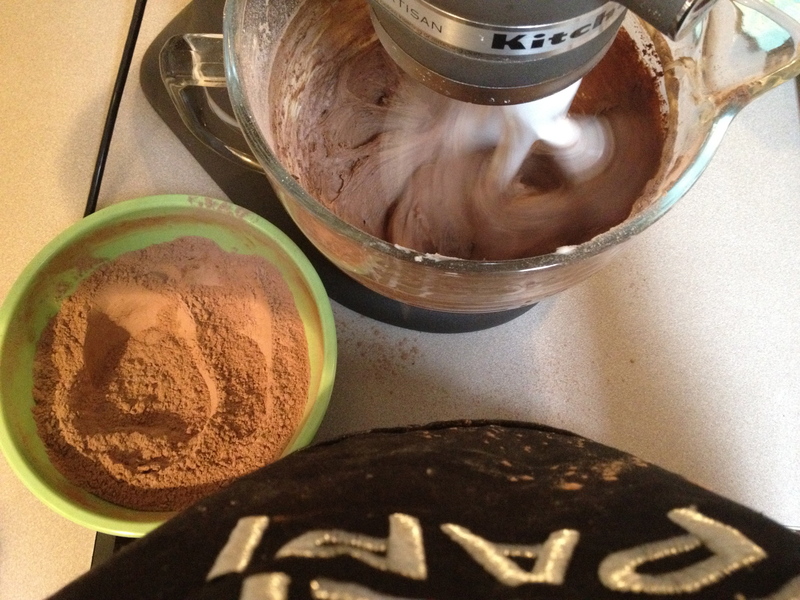 Step 2: Whisk to combine flour, cocoa powder, salt, and cinnamon. Step 3: Beat butter and powdered sugar until pale and fluffy. 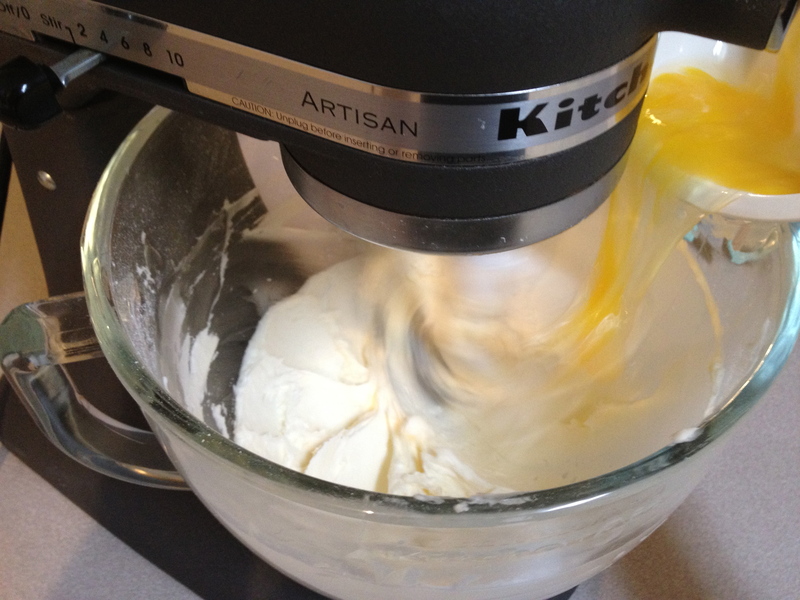 Step 4: Add egg and vanilla. The consistency at this point was gross. I’ve bragged about how much I love this bowl. It’s true. However, they don’t make a bowl guard that fits. I assumed it’s because this one is taller than the steel bowl and that it wouldn’t explode with flour. 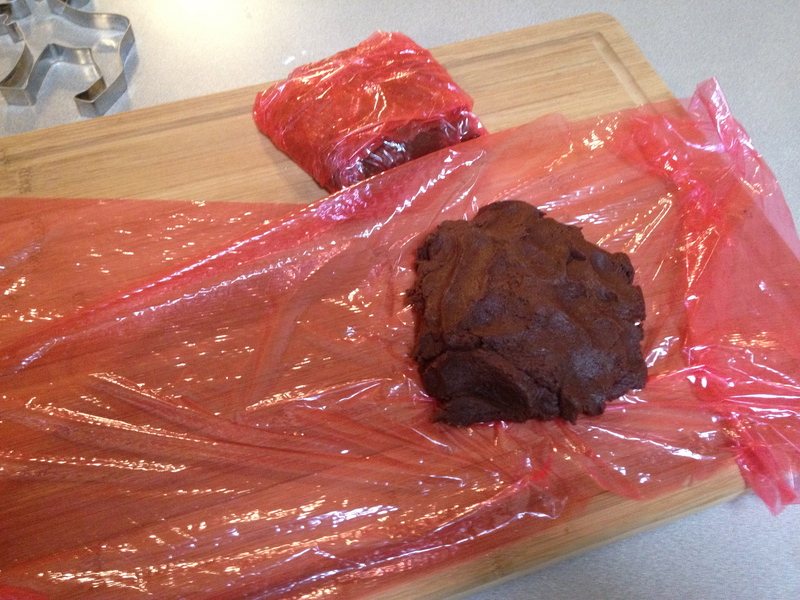 Step 6: Divide dough in half, wrap in plastic, and refrigerate for 1 hour. 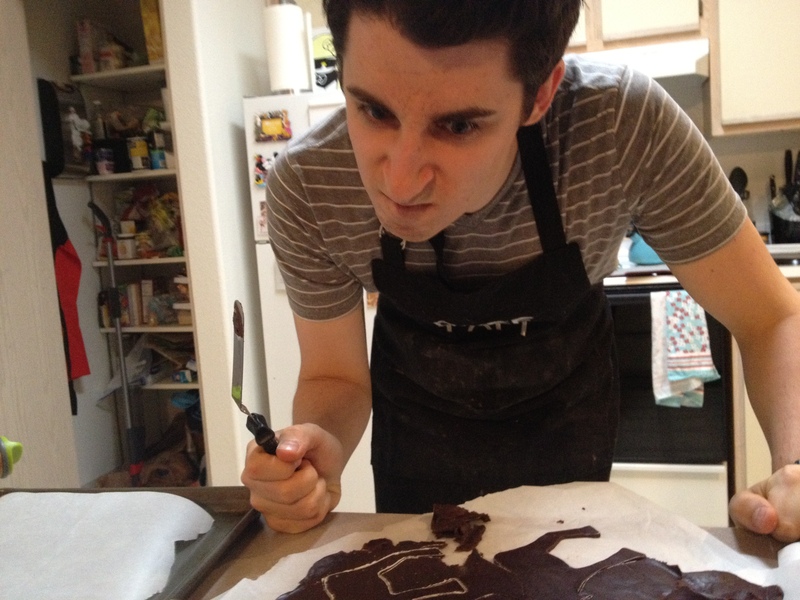 By now you should know that I hate rolling dough. I’m terrible at it. It’s hard and my dough is always uneven. Well let me tell you something! I have been eyeing the Joseph Joseph rolling pin for months because it has rings that help you roll to the perfect thickness! It’s $20, though, and I didn’t want to spend that much on a rolling pin. Well, I was at TJ Maxx the other day and they had it for $10! 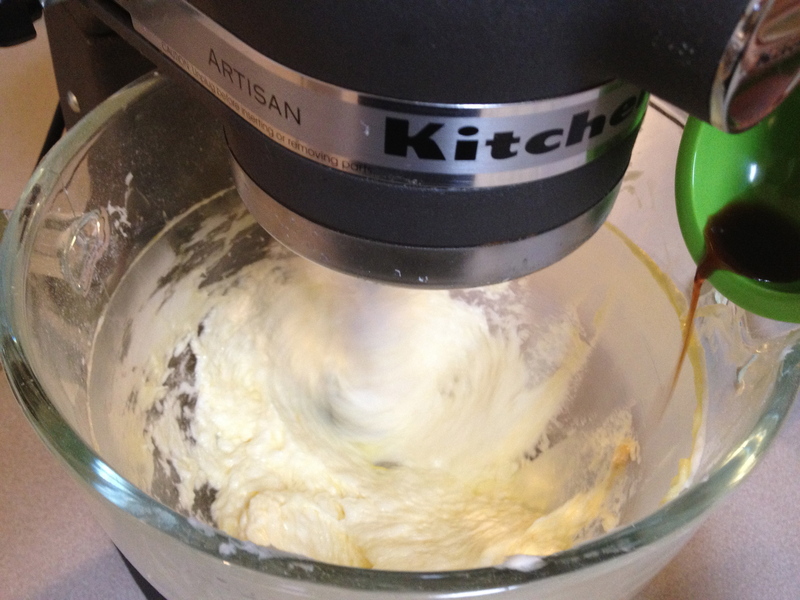 Step 7: Roll dough to 1/8″ thickness. 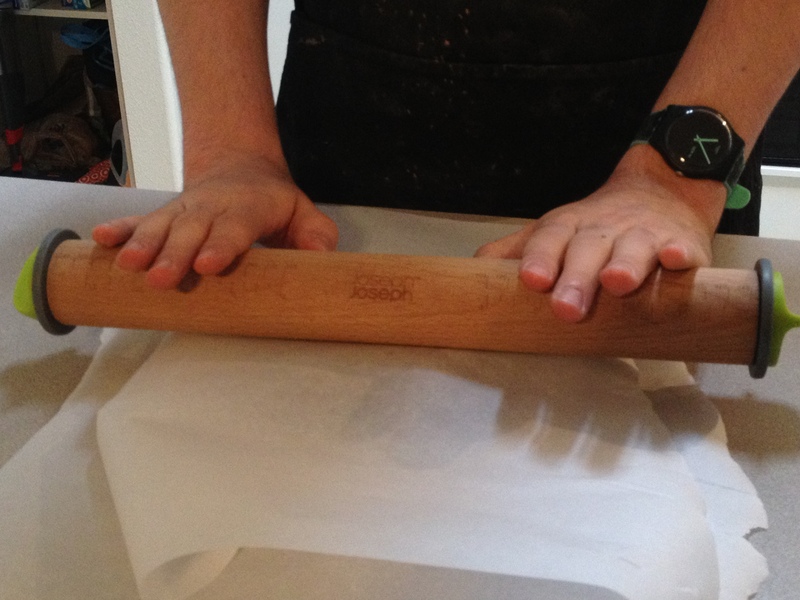 Um, my rolling pin only has 1/4″ and 1/16″ rings. WHY?! Naturally, I used the 1/16″ ring and just tried not to push all the way down. I can’t say I was consistent. 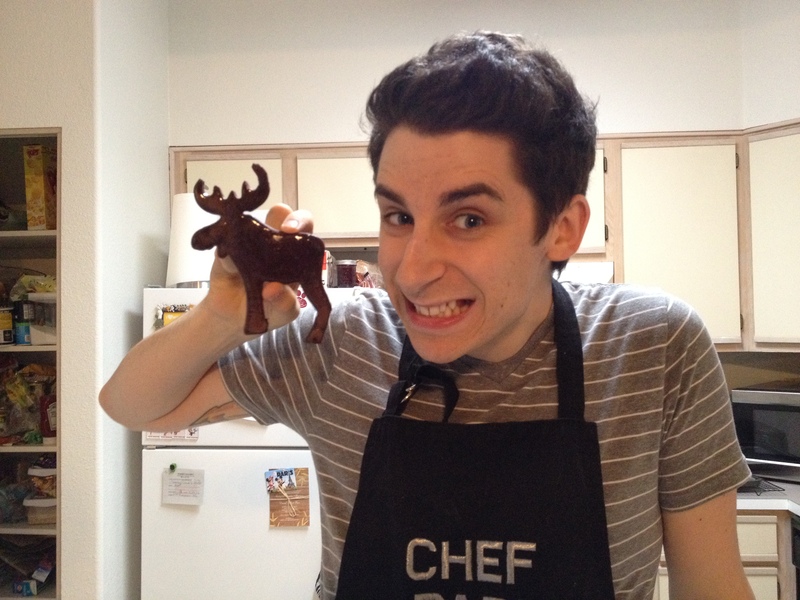 Step 8: Cut out moose. This was going well. UNTIL I REROLLED AND MY MOOSE RIPPED! 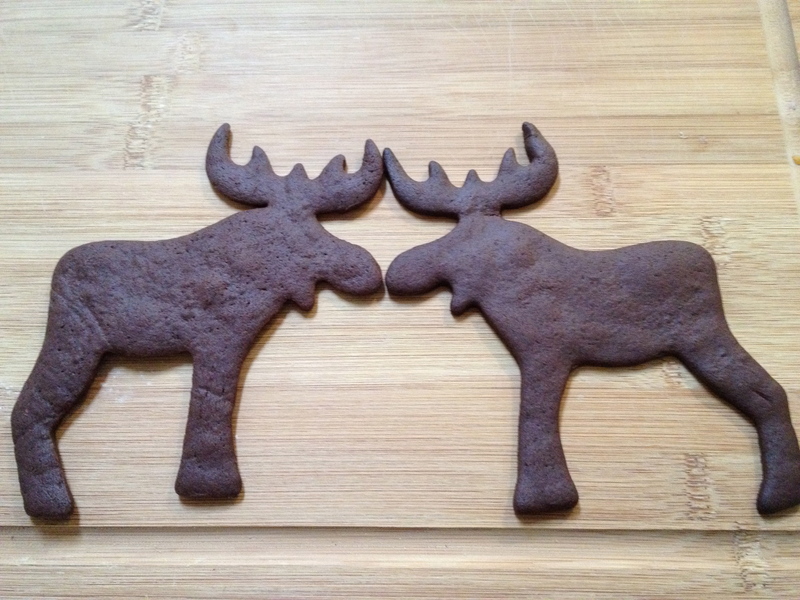 Step 9: Bake some moose. Repeat, repeat, repeat. Step 10: Make the glaze. 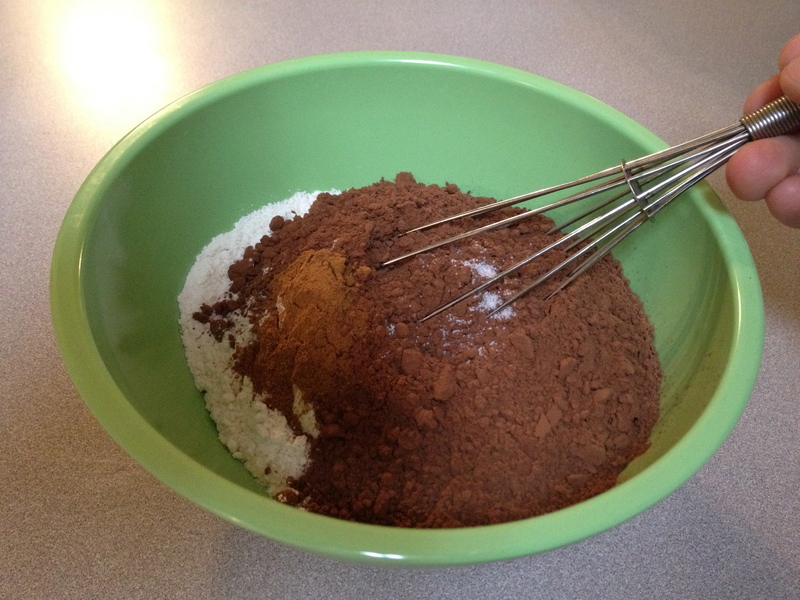 Gather ingredients: milk, cocoa powder, powdered sugar. 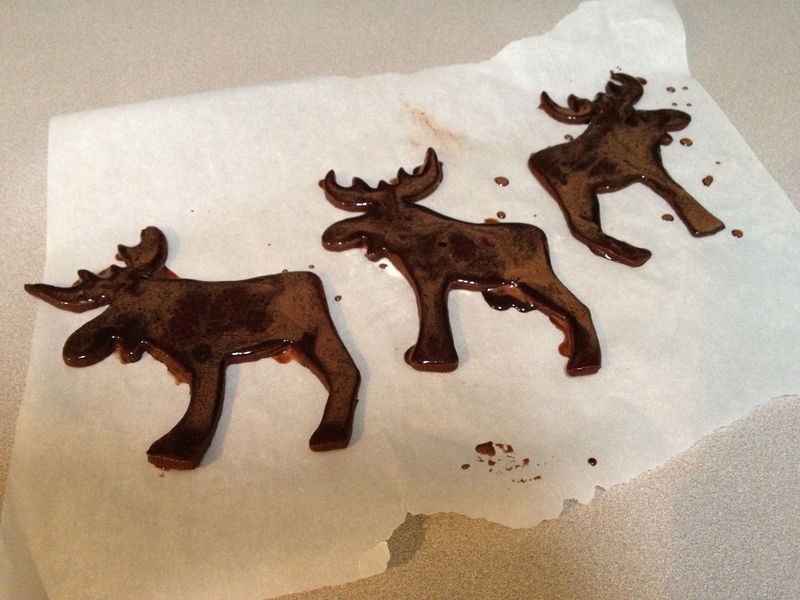 Step 12: Glaze the moose. The glaze was pretty thin. I thought it wouldn’t set, but the recipe said to let it stand for 30 minutes. I put them in the fridge to speed it up. It still didn’t set! And why is it so swirly light/dark? Why is this happening to me? End time: 12:55 (3 hours, 30 minutes) + 1 hour, 30 minutes the next morning to finish = 5 HOURS! Martha’s estimated time: 3 hours, 30 minutes. 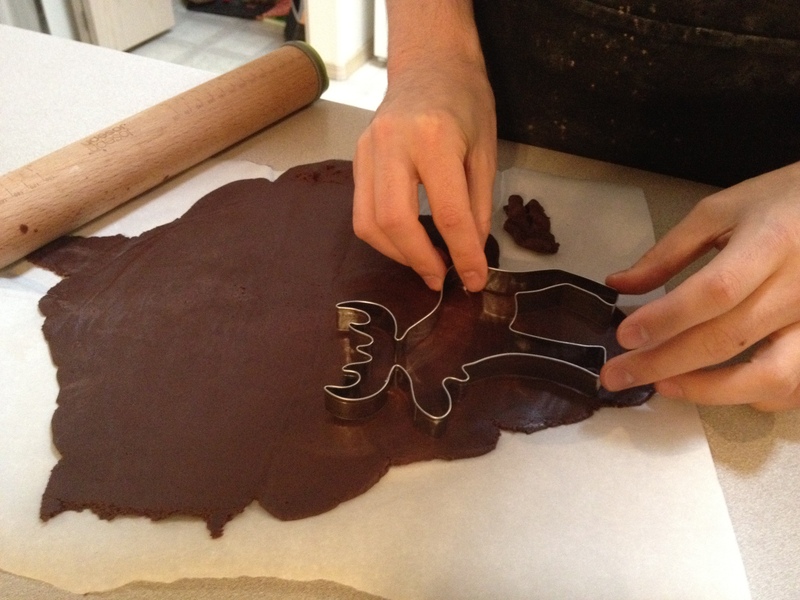 Don’t start cutout cookies if you’re not ready to spend several hours working on them. 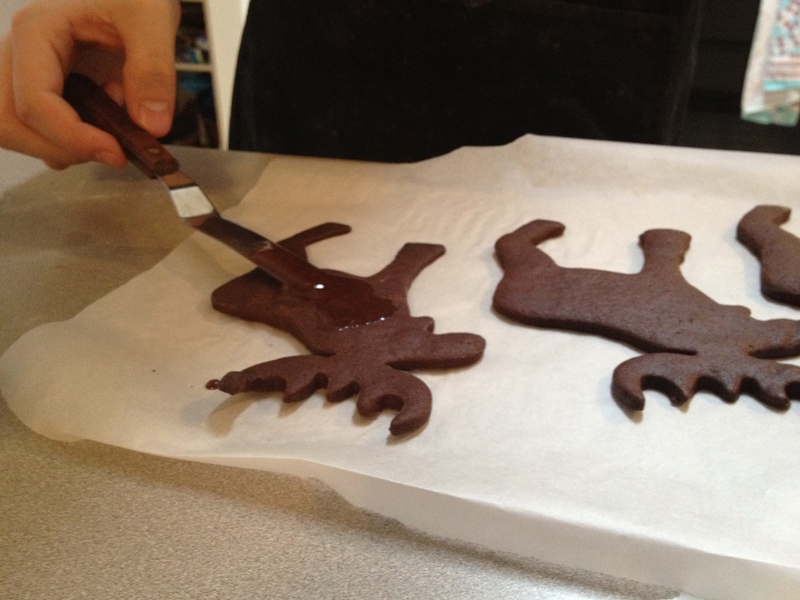 I’m not terrible at cutting out cookies, but they’re still hard. Why did my glaze fail? 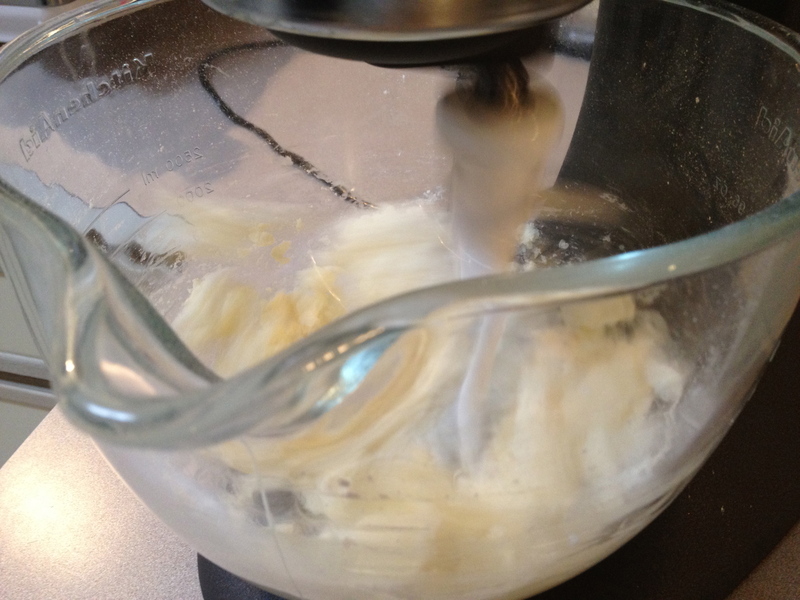 I even added 2 more heaping tablespoons of sugar and it didn’t thicken. So I ended up not glazing any more of them, including the ones I sent to Carrie. I hope they weren’t stale when they arrived! What did you think, Carrie? I used every last bit of the dough. 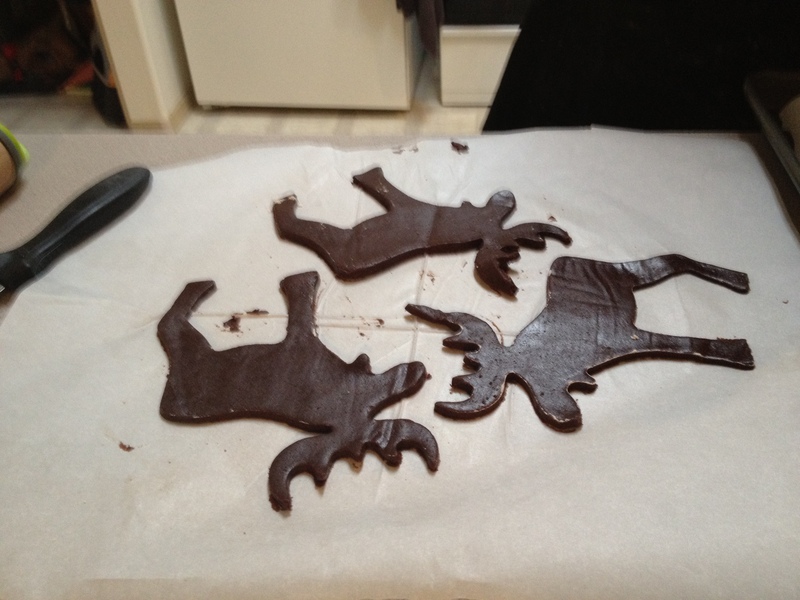 When it got too small to make a moose, I made a couple sharks with antlers. I tried to make my best cheesy kid face. Ugh, I look like a mess. I spent too long in the kitchen. And I need a hair cut. Yay!! They were definitely not stale. But they did all break 😦 At least it was easy to share! They were super yummy! The sugar to milk ratio is way off. 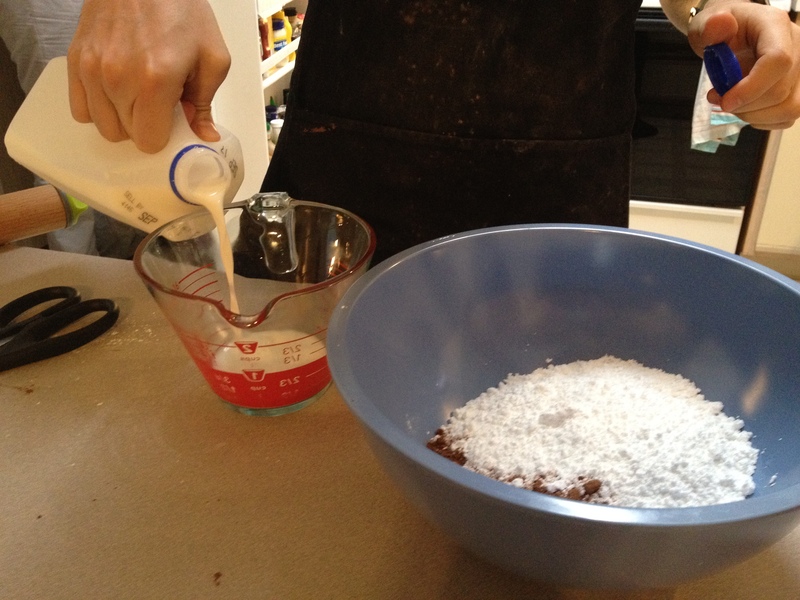 Though I’ve never make a chocolate glaze (I might soon, now), my ratio is usually 8 oz sugar to 3 tbsp + 1/2 tsp milk. This will make about a cup of icing. I like it on the thick side so it doesn’t run off the cookie. Let me know when you get my package so I can post the cookies I made you!! 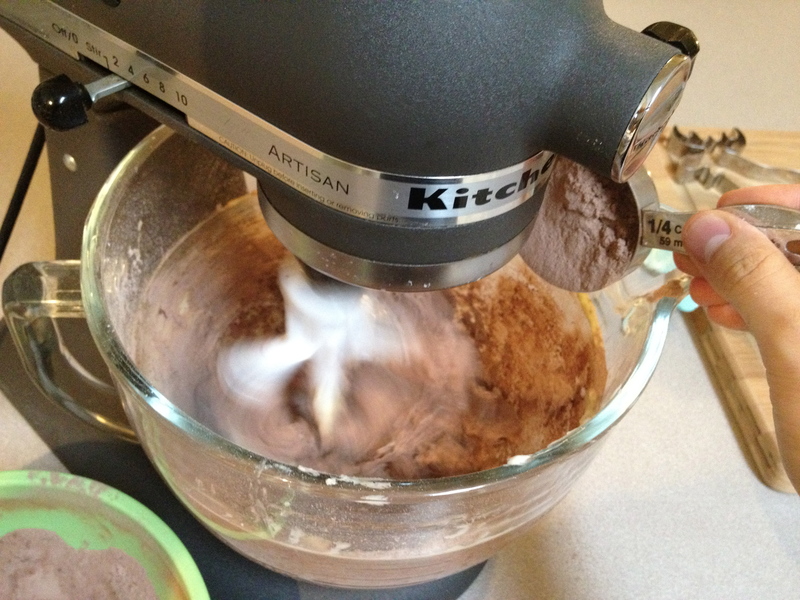 I was scrolling through recipes in wordpress reader and my first thought was ha, someone doesn’t know how to spell chocolate mousse. And then I actually stopped and read the post properly! Haha. Very cute. I know that I definitely couldn’t be bothered cutting out cookies for 5 hours! 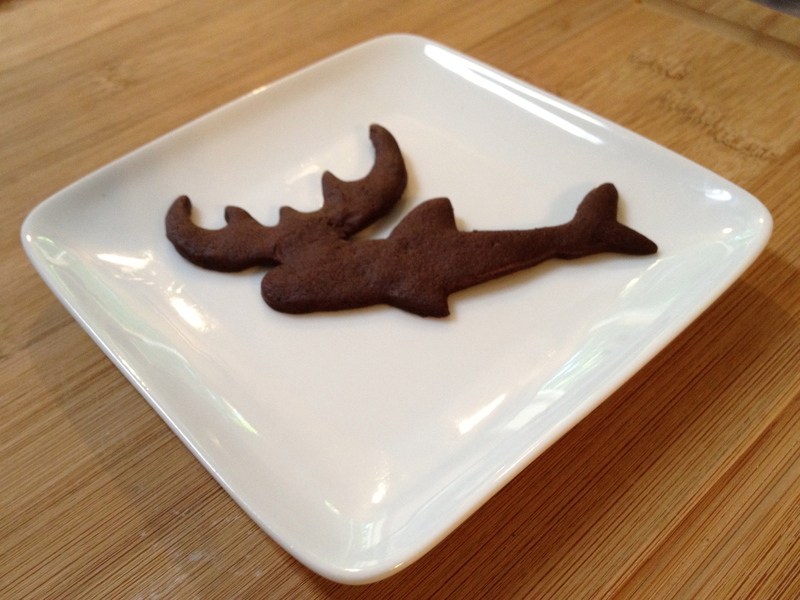 MOOSE SHARK! AAAAAAAAAAAAAHHHHHH! Next, squirrel moose. Yes! 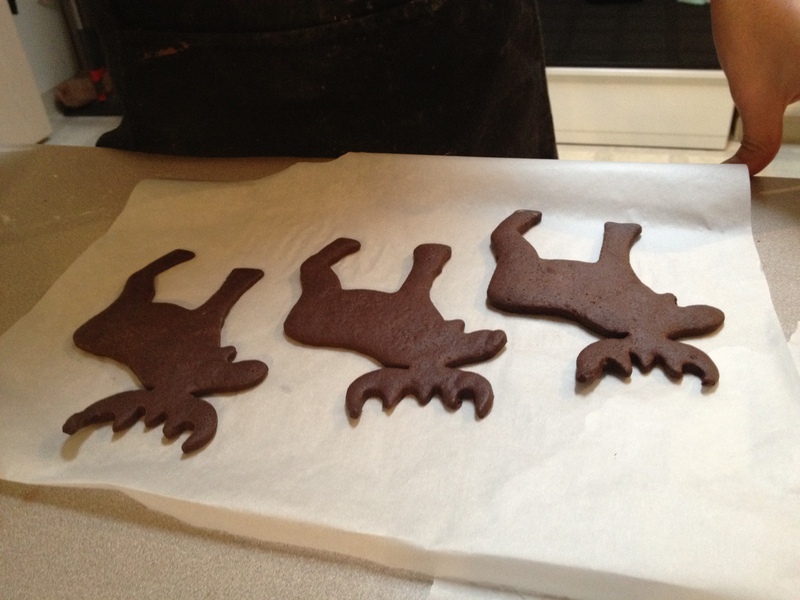 I should have done squirrel moose! 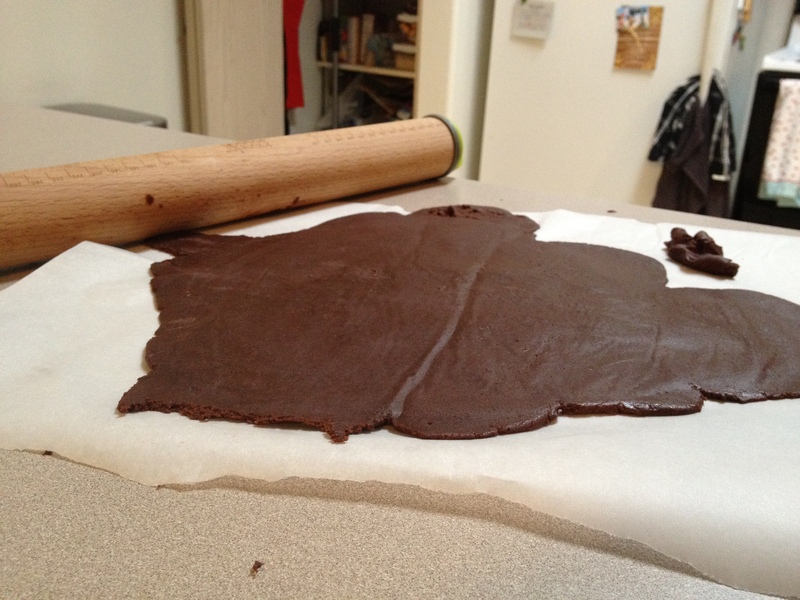 The recipe told me to use parchment to roll it, so that’s why I did. It seemed to work pretty well, but I will try plastic wrap next time. I’ll check out Baker’s Nook. Thanks for the suggestion.